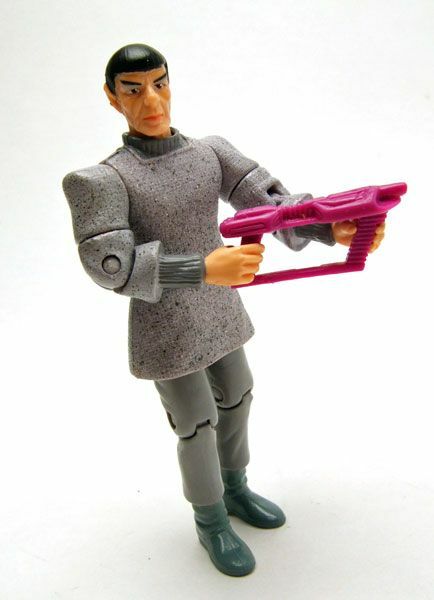 Spock was released as part of Playmates' "Star Trek: The Next Generation" line. The Rundown: Yeah, I know- it's a Next Gen' figure. But it's also Spock, so it counts. 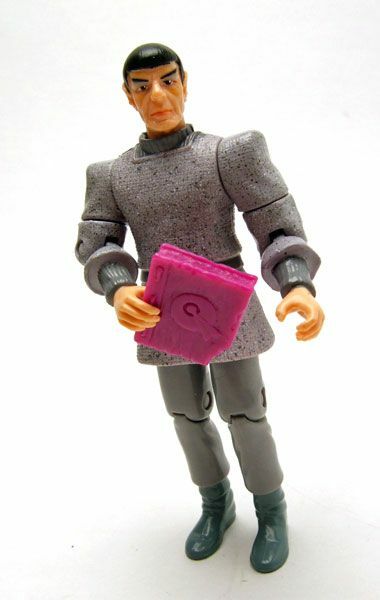 Spock's appearance in the TNG Season 5 2-Parter "Unification" is one of the highlights of the series for me. Seeing Spock still doing his thing up through Picard's time was a great way to tie the new series into the old... and then continuing that thread into the new movie really helps bring it all full circle. But I digress...let's get to the figure! 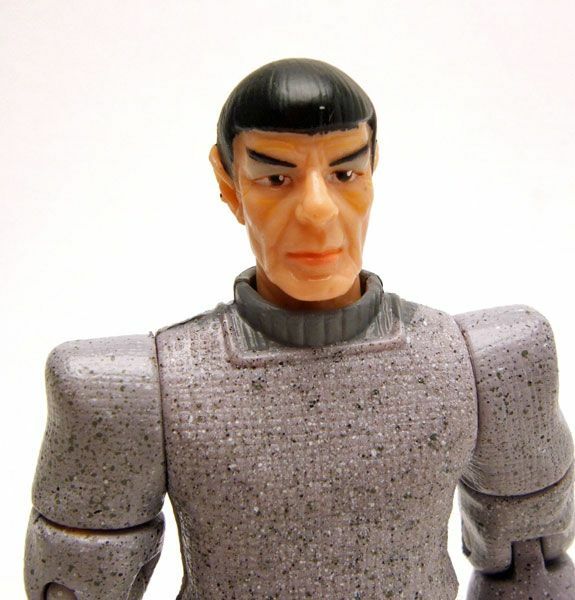 Spock features a pretty nice sculpt with a good amount of detailing. 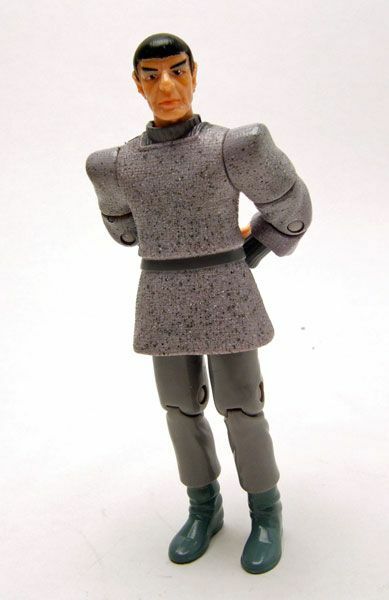 I feel like this is one of the better proportioned sculpts of the entire Playmates Trek line. The head isn't too big, the arms fall just about right, and the legs are a pretty good length. The end of the shirt hampers the hip joint a bit, but that's not too big of an issue. 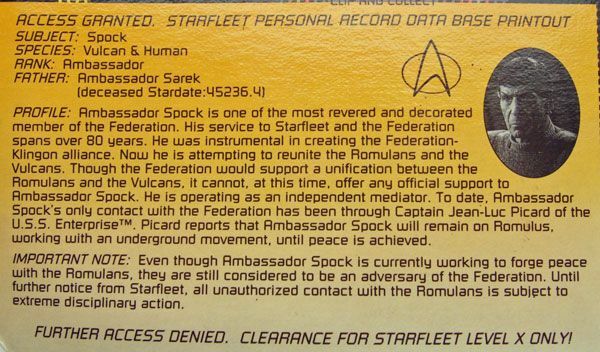 Spock's paint detailing is nicely done. All the lines are clean, and there's a nice speckled paint app on the shirt. Gives it that nice Romulan look that is all the rage with the kids these days. 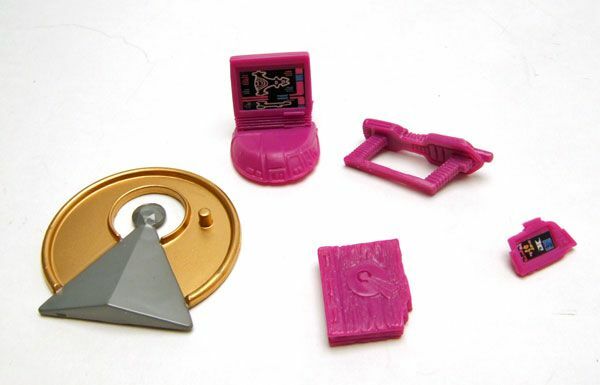 Accessories: Spock comes with an IDIC style base, a "Romulan Phaser Rifle", a Romulan PADD, a Klingon monitor, and a really neat little Vulcan book. 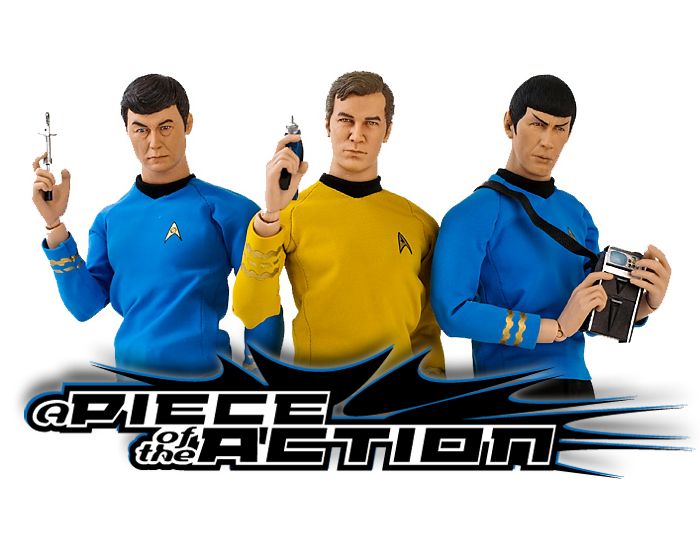 That Spock... he's got stuff from all across the galaxy! There's his bio if you'd like to give it a read. 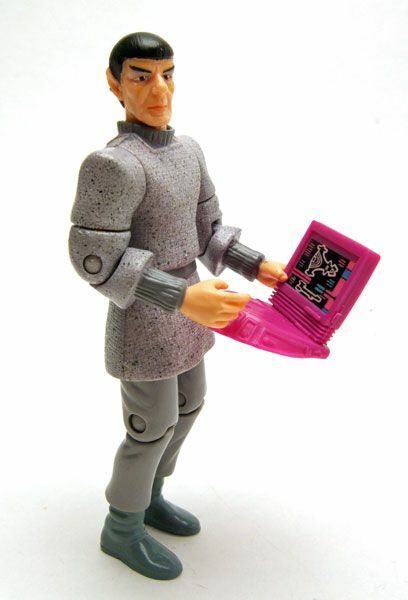 He may be a TNG figure, but this Spock is easily one of my favorite Playmates figures ever. 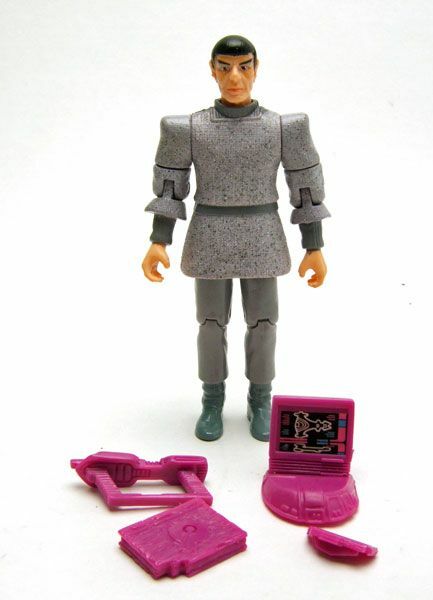 A top notch head sculpt, well done body, and cool accessories add up to one great figure. You can get this dirt cheap nowadays (like most Playmates stuff), so this is one I can easily recommend for a pickup! 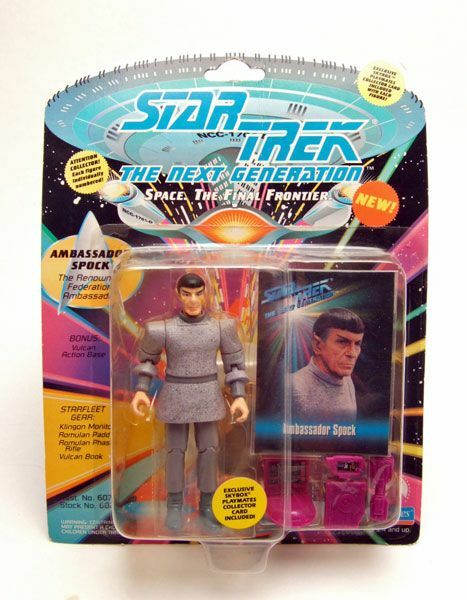 This is one I probably need to reacquire for my Spock collection eventually , I had one but it probably was mixed in with a bunch of Next Gen stuff in a collection purge. Sweet, I just sent you an email regarding cost, plus I have some Spock Hands for you. Is there a reason you boycott TNG and later stuff? Is it just personal preference? I can respect that, but it's a pity - there's lots of great stuff that would really benefit from your excellent and unique review style.